Caleta de Fuste is a small tourist-geared town that was built up specifically for the average traveler. There are many nice places to visit and two golf courses are located here. If you would like a full 18 holes or just drive some balls this is a great place to visit. There are two small beaches that are perfect for kids, one located inside the natural bay and the other is in front of the shopping area, both with a large break water so they have few waves. The Atlantico Mall is the location of one of these beaches and is a great place to get all your supplies for a long hot day water-side. Located inside the mall there are many shops and even an arcade with a bowling alley and also the movies are located here. This area is a short walk from the city center but not too long to need a vehicle. There are also buses located here and they go all over the island. The beach in town formed by the natural bay has a horseshoe shape. It has a surfing and a dive school, both in this great area to go beach combing or just checkout the marine life. This area is also a marine sanctuary so you will be swimming with the fishes and they will come right up to you. There is also a glass bottom boat tour that will take you out to get those great pictures of the amazing fish and animals underwater. Caleta de Fuste is a good place to bring kids as there is not a huge nightlife here but if you want it, you just gotta look for it. The entire town is a walk-friendly area and you will find many sports pubs and good-ol´pub grub at most of the places. 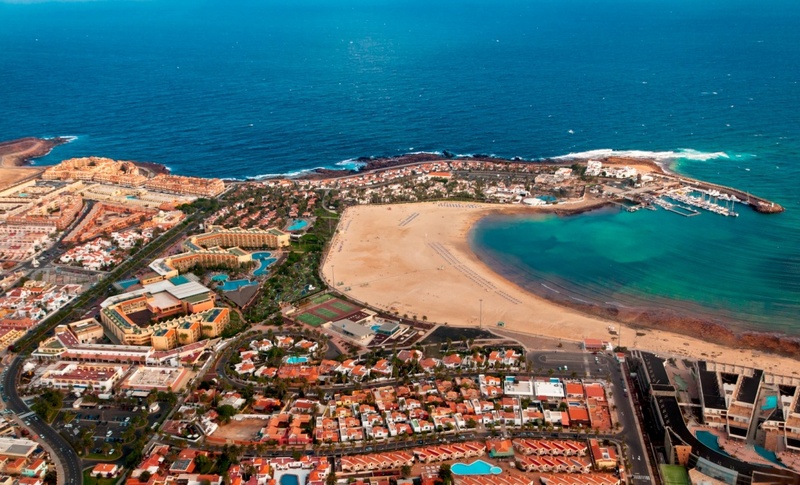 If you are looking for a nice relaxed vacation Caleta de Fuste is a great destination! Find information about selected Hotels, apartments and rooms in Caleta De Fuste to choose the perfect place for your accommodation.